When Sean and I first moved to Silver Spring, we cooked, sure…but we definitely ordered take out and ate at restaurants more often than we should’ve. We’re now down to getting take out or going out to dinner once every week…sometimes even once every other week. This little effort has saved money, inspired new dishes, and puts the idea of “a night out” up on a pedestal. I feel like we’re total rockstars out on the town now. It simply celebrates the idea of going out so much more when it’s a less frequent occasion. And when I’m cooking, he’s cooking, or we’re both cooking together – it continues to bring us together and scents our home with harmonious culinary creations. Pacci’s Neapolitan Pizzeria is located along Georgia Avenue in downtown Silver Spring. Shortly after we moved to Silver Spring, Sean’s parents wanted to take us out to lunch at an Italian restaurant nearby. When we found out that they were closed for the afternoon, we looked around for another option. We stumbled upon this pizzeria. Walking in, there’s a lovely outdoor patio to your right, and a beautiful selection of well stocked wine along the wall to the left. Before going in further, their beautiful wood-burning oven catches your eye; always a good sign of how classically authentic the pizza will taste. We sat inside towards the back of the restaurant. I ordered a pizza with buffalo mozzarella, arugula, fresh vine-ripe cherry tomatoes, a touch of olive oil, probably some additional spice that God recommended they add to the dough, and BAM! – I was in love, in Heaven, in the midst of a classical symphony written only for this pizza…you get the idea…it was marvelous. Sean called in an order for us last night as we were both stuck in separate areas of D.C. traffic. Such a treat to know that this pizza was waiting for me to pick it up at the end of a long commute, and a very long week. The manager must have answered the phone when Sean called in the order, because as I walked in ready to tell him that I was there to pick up an order, he kindly smiled and say’d, “…Katherine?” That simple gesture of recognizing who I was and what order I was picking up was just as refreshing as the pizza itself. All too often, restaurants lack a sense of their own neighborhood and personability. This was different. This place made me feel right at home. 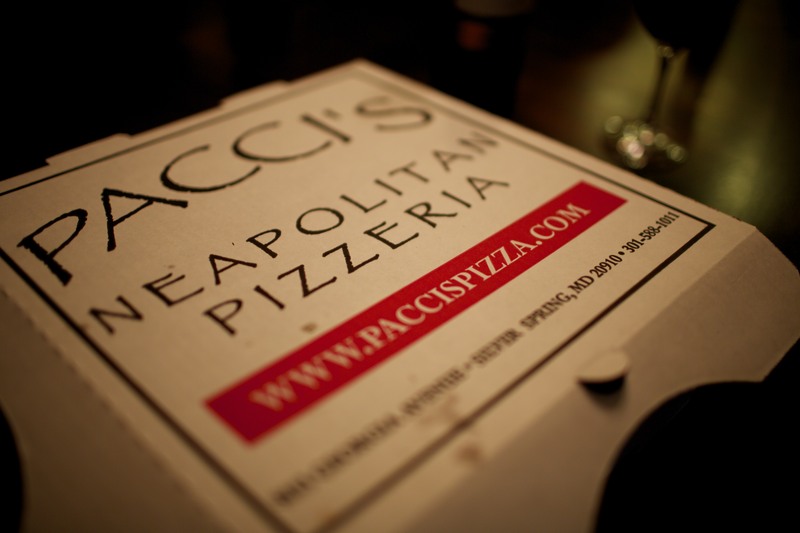 Pacci’s – on those rare occasions that we do go out/order out – you’ll be seeing us. 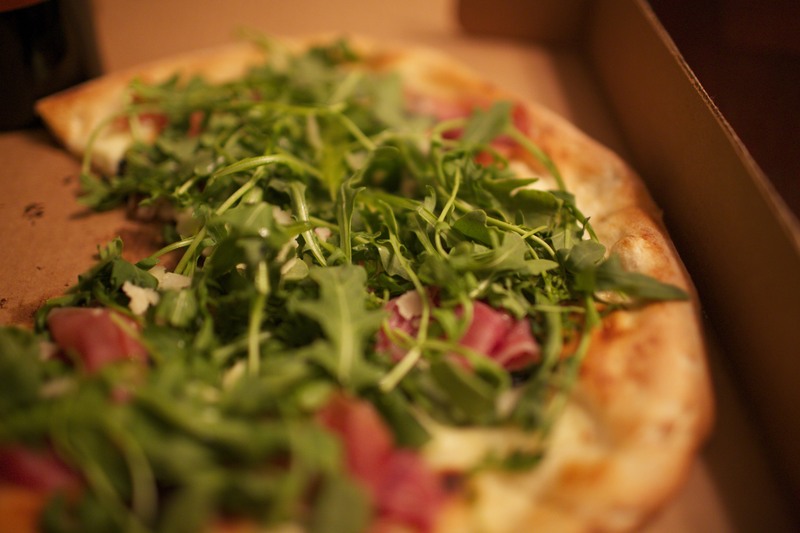 As for all of you interested in a new place to explore – go try Pacci’s. That’s all for now. I took the day off and am in happy Katherine heaven. 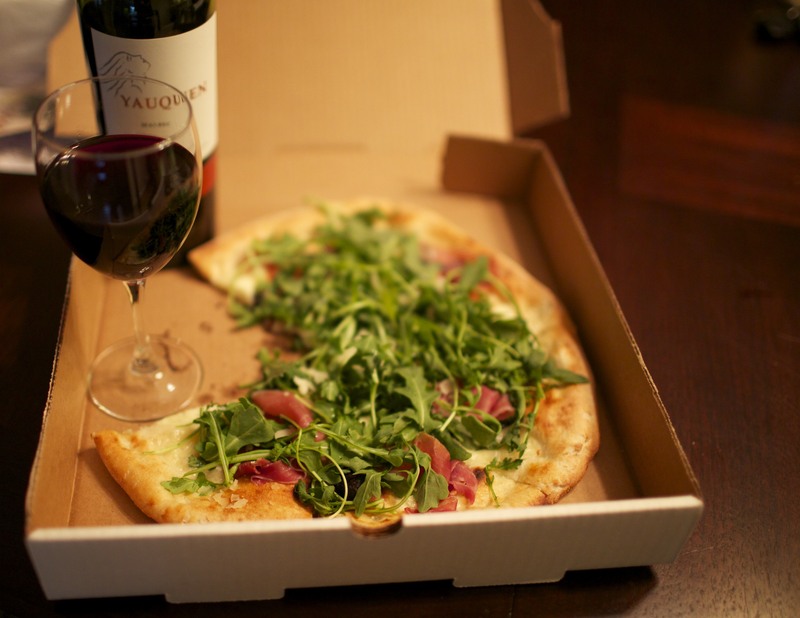 I have a date with Stella (our yellow lab) for a walk around the neighborhood, a date with Silver Spring as I need to run some errands, a date with the computer for more wedding planning fun, and a lunch date with the left over Pacci’s pizza waiting for me in the fridge.